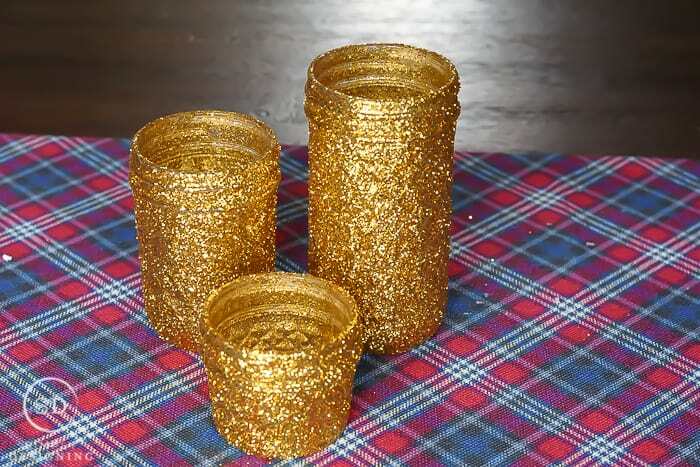 I love crafting for the holidays and secretly (ok maybe not so secretly) I love glitter too! 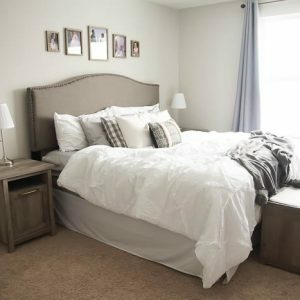 It is pretty and sparkly and while I don’t use it in my everyday decor, it is perfect for the holidays! 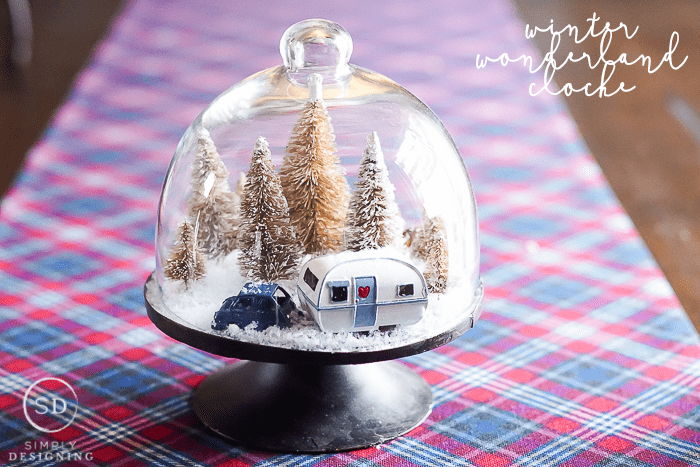 So today I am really excited to share a fun and simple DIY with you! 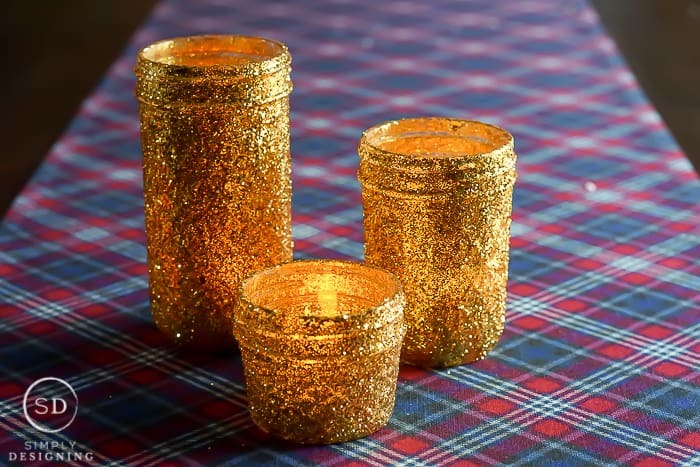 I created these gold glitter mason jar luminaries and they are simply perfect for decorating with this holiday season! Put them out now and keep them up through New Year’s! They are perfect and oh-so-cute! Keep reading to find how how to create these cute luminaries. A big huge thank you to Elmer’s for making this post possible today! For this project you can use any mason jars you like, but I found three different sized quilted mason jars and I love the texture and dimension they helped to give these mason jar luminaries. But any mason jars will work! 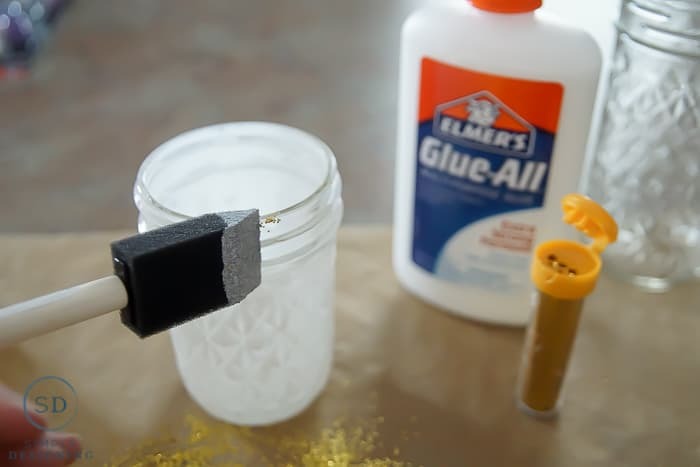 You will begin by coating the outside of your mason jars (one at a time) with Elmer’s Glue-All using a foam brush. 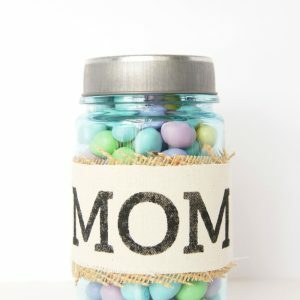 For this project it is easiest to cover the entire jar with glue at once. 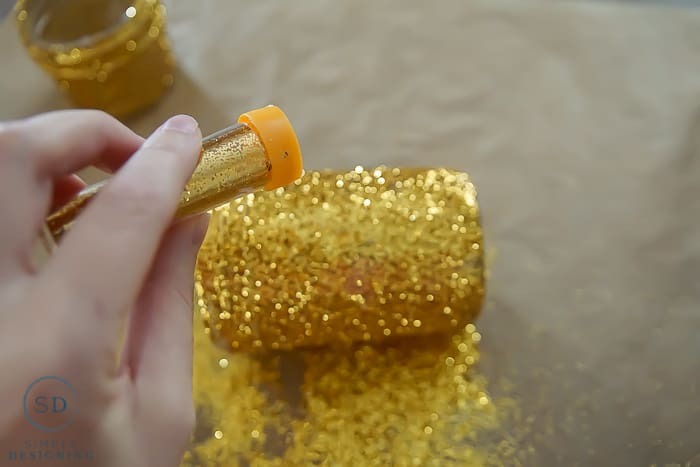 If you try to do it in sections you will end up with glitter in your paintbrush and it will have difficulty staying put as you add glue into other portions of your jars. 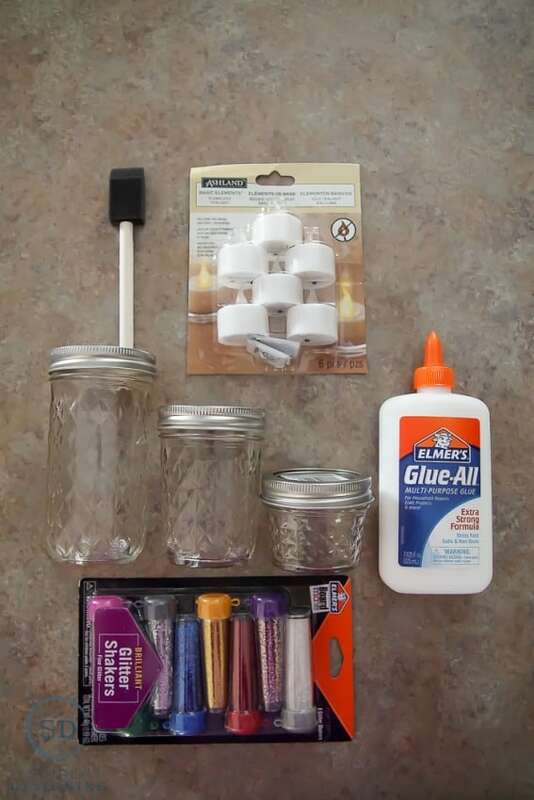 You can place your hand inside the mason jar to hold it as you add glue to the outside of your jar to help so that you don’t get too much glue on your hands. 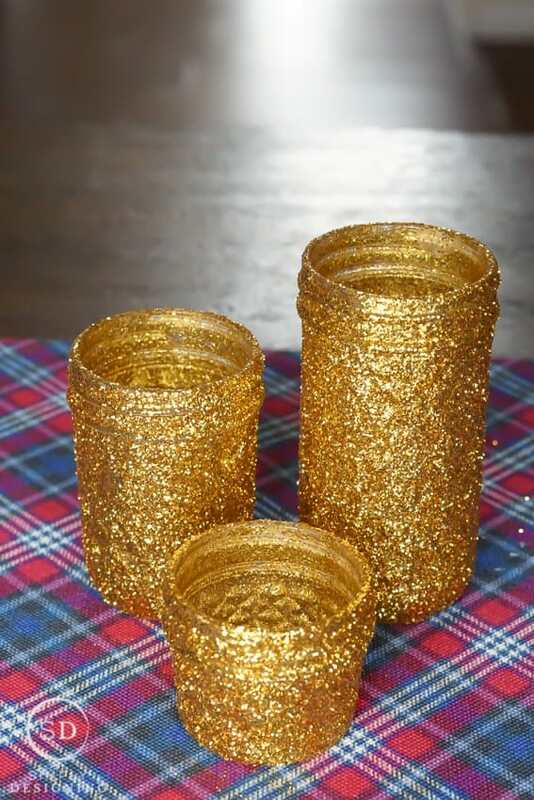 After your mason jars are covered with glue, you will use your glitter shakers to cover the mason jar with glitter! You can use any color of glitter you want. Or you can even do a mixture of glitter colors! There are really so many options! 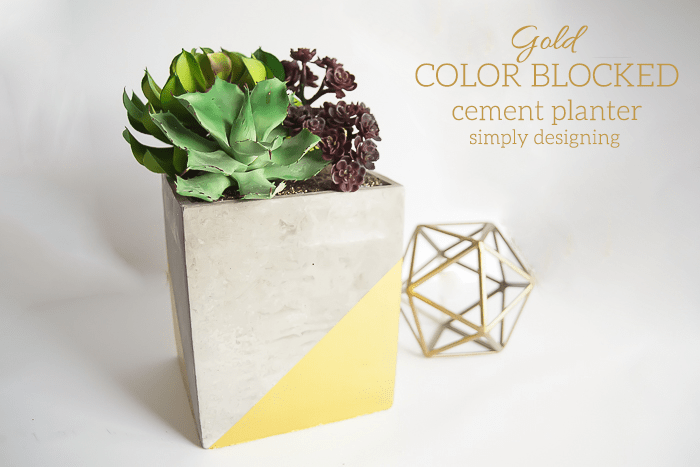 But I love gold and I just think glitter gold is perfect for any decorating this time of year, so I decided to just use gold glitter on this project. I really loved that these Elmer’s glitter shakers were filled with big, beautiful, glitter flakes! 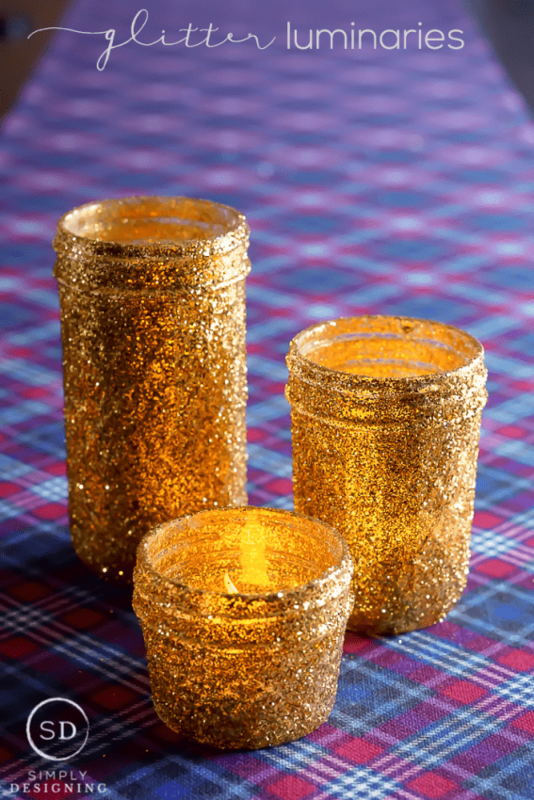 This glitter was great at covering these mason jars and they are so incredibly sparkly! I added small flameless candles to the inside of these mason jar luminaries and they were ready to go! I just love how sparkly they are! LOVE the sparkle!! What a great holiday decor idea – so glam! These are beautiful!! I LOVE the glitter! So bling-y! I LOVE these! So sparkly and FUN!! The jars turned out gorgeous! Love how they came out!! So glad I saw these at the Inspire Me Monday Link Party. 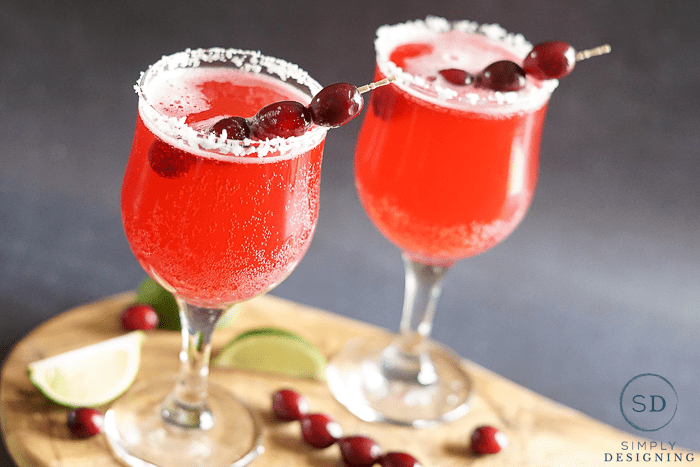 Will be making these for the holidays. So pretty! I just love glitter.